I’ve been badly remiss in keeping up the blog these last few months. The good news is that book projects are the source of this egregious procrastination. But it also means I’ve missed sharing some book news. CUTTING-EDGE AUGMENTED REALITY and CUTTING-EDGE VIRTUAL REALITY released this fall. The two titles are part of the Cutting-Edge STEM series from Lerner Publications designed for grades 3-5. If, like me, you think AR and VR are mostly used for entertainment, you might be interested to learn the huge variety of applications I encountered while researching these books. Augmented reality pops up in sports broadcasts and Pokemon, but it’s also being used to plan surgeries and bring the past to life in museums. Virtual reality is being used to help treat phobias and to help paraplegics regain some muscle control. I have another book releasing January 1, 2019, also from Lerner Publications. Stay tuned! The Mars InSight Lander made a successful touchdown on Mars yesterday (November 26, 2018). I never get tired of watching mission coverage of big space news. Marine mammal scientists have been able to use new, higher resolution satellites to track whales from space. This breakthrough may help researchers learn more about whale behavior and monitor whale populations. And one more tidbit, the European Space Agency’s GAIA mission released its much-anticipated map of 1.7 billion (yes, that’s billion with a “B”!) stars. Scientists have already used the data to discover that our Milky Way galaxy has a thing for eating other galaxies. Happy Friday the 13th! Here are a few fun things I stumbled across over the last week. 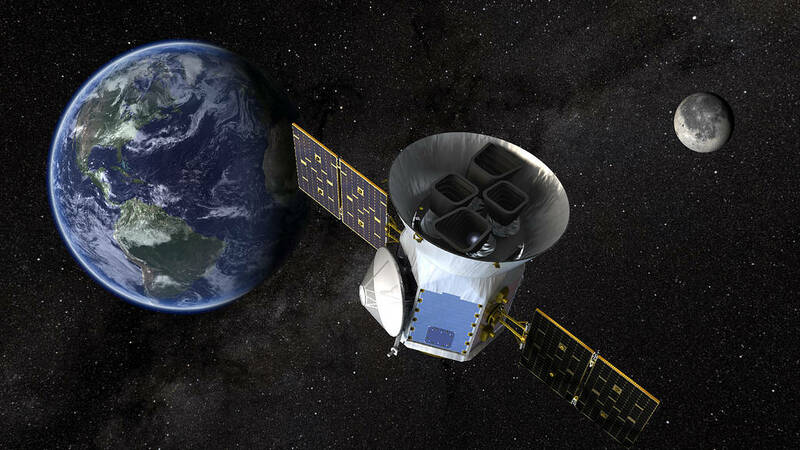 NASA’s TESS satellite is set to launch on Monday, April 16, at 6:32 EDT. The satellite’s mission is to search for planets outside our solar system. It will “cover an area of sky 400 times larger than that monitored by Kepler.” For launch coverage information, click here. For more about the mission, head over to the TESS Exoplanet Mission website. For a dose of cute that will last far beyond the minute it will take to watch the video, check out the March of the Penguins at the Oregon Zoo’s website. This weekend I’m hoping to continue to work my way through Brandon Mull’s Beyonders: Seeds of Rebellion. 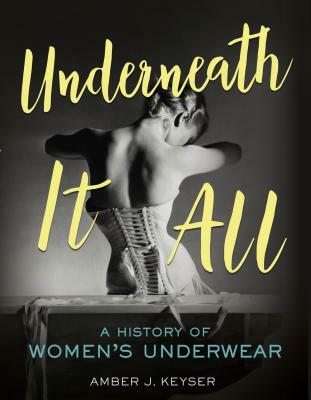 I’ll also be taking in Underneath it All: A History of Women’s Underwear, a book by friend and fellow SCBWI-OR member Amber J. Keyser. 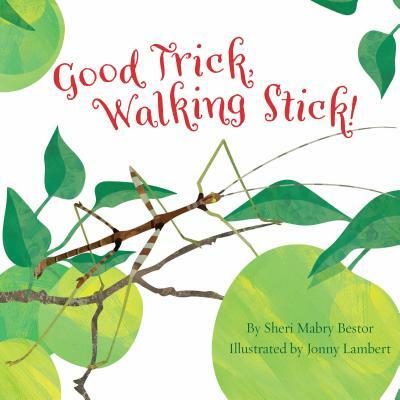 Appealing illustrations and active, engaging language make Sheri Mabry Bestor’s Good Trick, Walking Stick a fabulous read-aloud text. This picture book follows the life cycle of a walking stick, an unusual insect that disguises itself as a stick to avoid predation. Camouflage is not the only “trick” in the walking stick’s repertoire. Kids will enjoy the repetition of “good trick, walking stick,” every time an interesting adaptation is discussed. Sidebars are packed with extra facts that kids and adults will enjoy. The book is a perfect addition for K-5 units on life cycles, adaptation, and food webs. I’m also a big advocate for using picture books with older students as well, as I think they can benefit from the straightforward, unintimidating way picture books present sophisticated concepts. Obtain a copy of this book and a few preschoolers. Read. Repeat. Need more than that? Okay. In BUNNIES!! 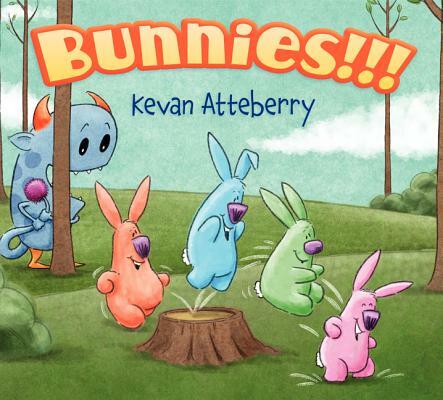 !, author Kevan Atteberry captures the enthusiasm and energy of preschoolers and packages it in book form. The story is simple, but I’m willing to bet it will become a read-aloud favorite. Heather Montgomery’s HOW RUDE! 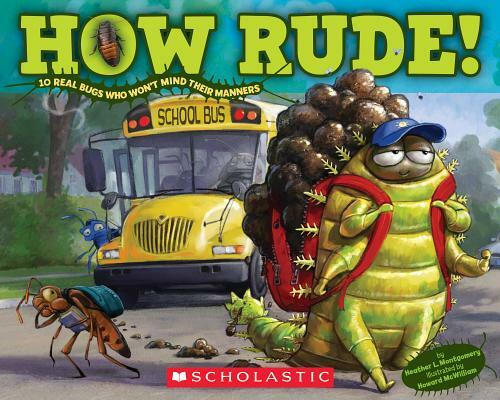 is a gleeful romp through “bad” bug behavior with exactly the right amount of gross to appeal to its audience. The illustrations of anthropomorphized cartoon bugs along with photos of the actual animal strike a good balance between fun and accuracy. Great for preschoolers through elementary.